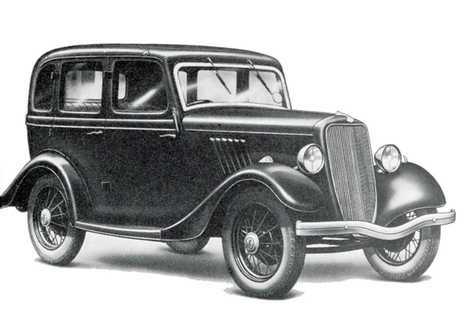 The Model Y was the first Ford specifically designed for markets outside the United States of America, replacing the Model A in Europe. The car was powered by a 933 cc, 8 (RAC)hp Ford Sidevalve engine, and was in production in England from 1932 until September 1937, in France (where it was known as the Ford 6 CV) from 1932 to 1934 and in Germany as the Ford Köln from 1933 to 1936. Smaller numbers were also assembled in Australia (where even a coupé version was produced), Japan, Latvia (branded as the Ford Junior) and in Spain (branded as the Ford Forito). The little Ford was available in two and four door versions. In June 1935 a reduced specifition two door model was the only fully-equipped car ever to sell in Britain for just £100, a price it held until July 1937. Although of American Design, the Model 'Y' took the British market by storm and when it was first introduced it made a major dent in the sales figures of Austin, Morris, Singer, and Hillman. It went on to thrash them soundly by taking over 50% of the 8(RAC)HP sales. In Britain it was also known as the 'Ford 8' reflecting its fiscal horsepower rating. For the first 14 months the original model with a short radiator grille was produced, this is known as the 'short rad'. 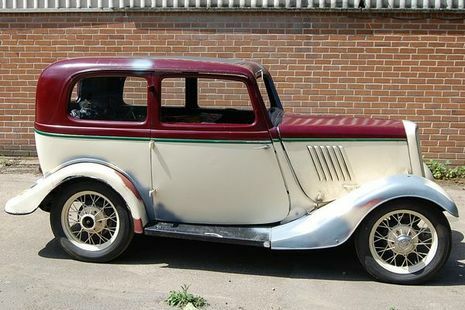 After this in October 1933 the 'long rad' model, with its longer radiator grille and front bumper with the characteristic dip was produced. By gradually improving production efficiency and by simplifying the body design the cost of a "Popular" Model 'Y' was reduced to £100, making it the cheapest true 4 seater saloon ever, though most customers were persuaded to pay the extra needed for a less austere version of the car. Both 4 door (Fordor) and 2 door (Tudor) saloons were produced and these could be had either with a fixed roof, or the slightly more expensive sliding 'sun' roof. The suspension was by the traditional Ford transverse leaf springs front and rear and the engine drove the rear wheels through a three speed gearbox which, right from the start, featured synchromesh between the top two ratios. The maximum speed was just under 60 mph (95 km/h) and fuel consumption was 32 miles per imperial gallon (8.8 L/100 km; 27 mpg-US). Even by the standards of the time, the UK built Ford 8, like its major competitor the Austin 7, was found noteworthy for its "almost unbelievable lack of brakes". Also offered was an attractive 5cwt van which proved very popular with small businesses. Ford did not produce an open top car because it was thought that the chassis was too flexible, however several specialist coach builders produced a range of attractive Model 'Y' tourers. Some 175,000 Model 'Y's were produced worldwide (153,117 in England, 11,121 in Germany) and the 'Y' and 'C' Register has knowledge of approximately 1250 survivors. The larger and faster 10(RAC)hp Model 'C' never sold in such great numbers as the Model 'Y' although there was a very attractive factory produced tourer. In 1935 the styling was enhanced with some small modifications and the model was designated the 'CX'. The Model 'Y' Ford was an instant success, but like any new car it was modified and improved during its lifetime. Between 1932 and 1933, 34,000 vehicles were produced , and 136,000 produced between 1933 and 1937. For the first 14 months the original model with a short radiator grille was produced, this is known as the 'short rad'. 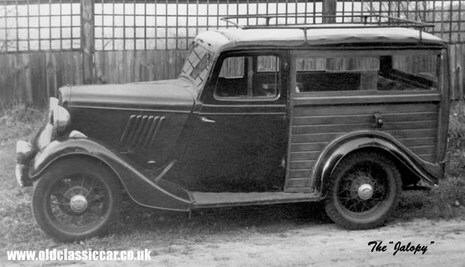 After this in October 1933 the 'long rad' Model, with its longer radiator grille and front bumper with the characteristic dip was produced. By gradually improving production efficiency and by simplifying the body design the cost of a Model 'Y' was reduced to £100, making it the cheapest true 4 seater saloon ever. Both 4 door (Fordor) and 2 door (Tudor) saloons were produced and these could be had either with a fixed roof, or the slightly more expensive sliding 'sun' roof. Ford did not produce an open topped Model 'Y' car because it was thought that the chassis was too flexible, however several specialist coach builders produced a range of attractive Model 'Y' tourers in England, Australia, France, Germany and Spain. Some 17000 Model 'Y's were manufactured in England and approx. 11000 Model 'Y'-based 4/21PS Ford 'Köln's were produced in the Ford Köln plant in Germany between 1933 and 1936. 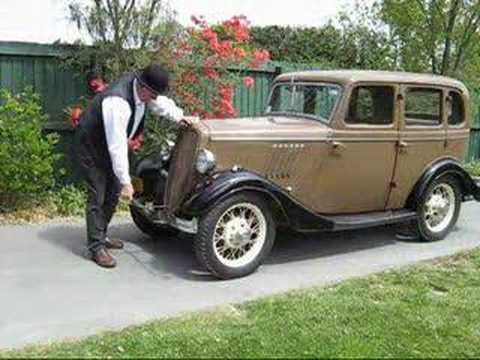 The Model 'Y' was also known as the Ford Junior, mainly in Scandinavia, and the Baby Ford, mainly in Ireland. The Ford Y&C Model Register knows of some 1300 survivors world-wide.